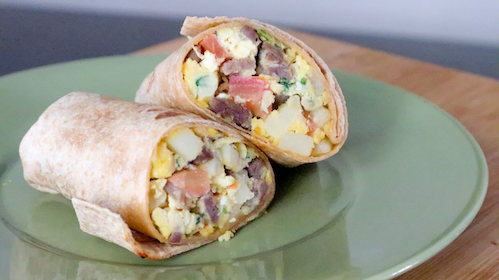 Scrambled eggs, turkey bacon, avocado, and cheddar jack cheese wrapped in a whole wheat tortilla. Shredded chicken in house BBQ sauce in between Hawaiian rolls. 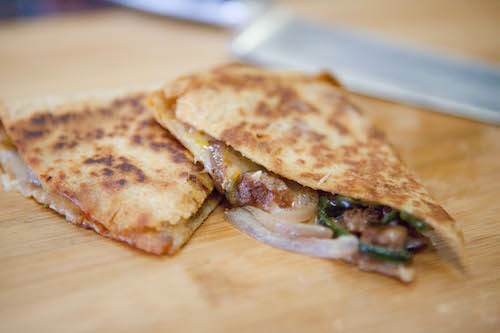 Grilled marinated steak, peppers and onions smothered in Monterey Jack cheese on whole wheat tortilla. Rich in protein. 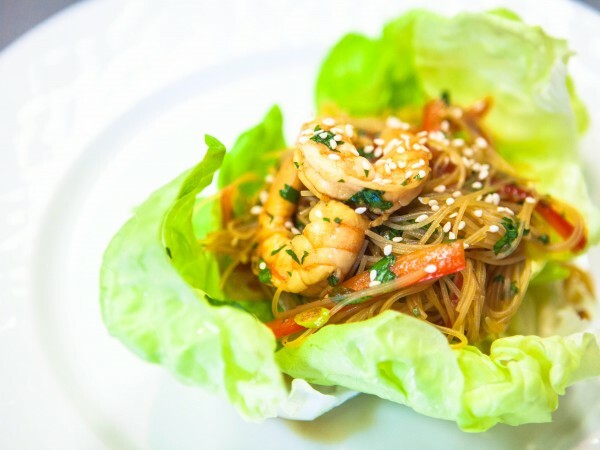 Succulent shrimp, rice noodles, and julienned red bell peppers tossed with a light and tangy asian sesame dressing and folded in butter lettuce leaves. Sprinkled with freshly chopped cilantro and sesame seeds. 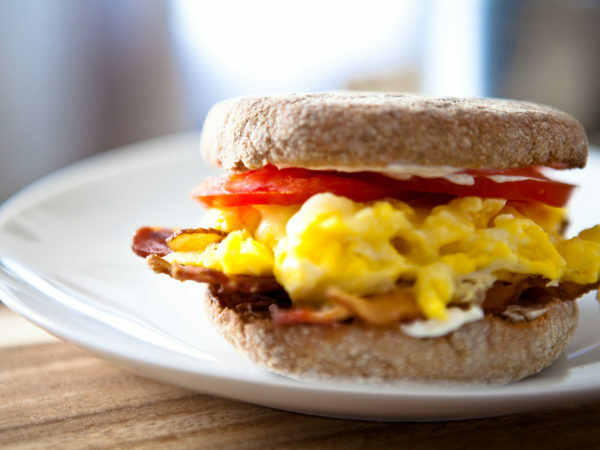 Scrambled egg, low fat cheddar cheese, turkey bacon, tomato, and fat free cream cheese on a whole grain English muffin. 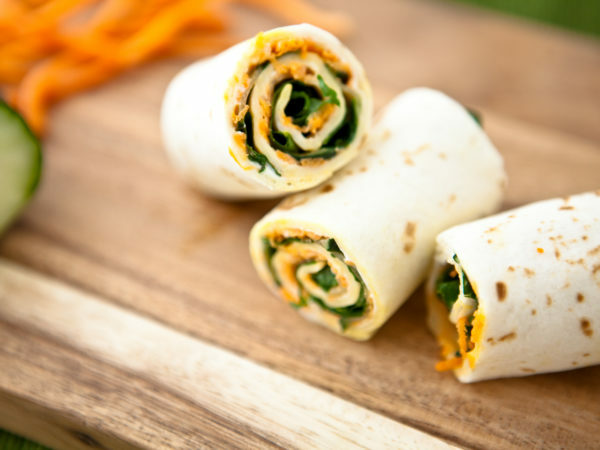 Grated carrots, cucumber slices, shredded romaine lettuce, roasted red peppers and our scrumptious homemade hummus layered inside a whole wheat tortilla wrap. The Lunch Mob’s low fat veggie option. 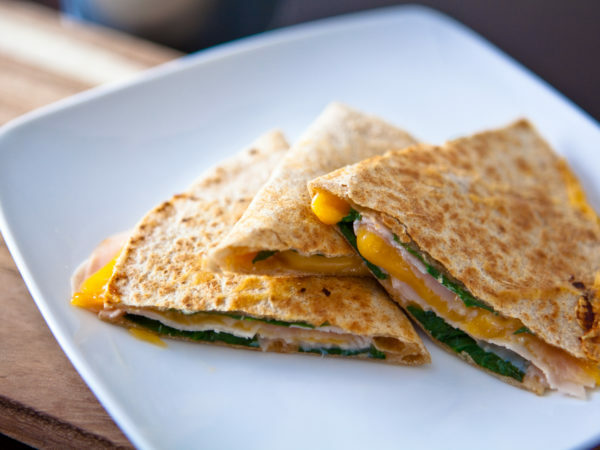 Smoked turkey, monterey jack, spinach, and honey mustard on whole wheat tortilla. 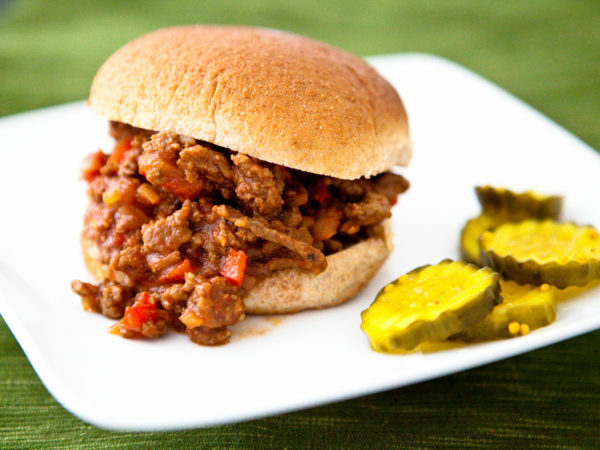 Rich in protein and vitamin A.
Savory mixture of seasoned lean ground beef, red bell peppers, onions, and tomato sauce piled sloppy on toasted whole wheat buns. A school lunch classic! Served with butter pickles. 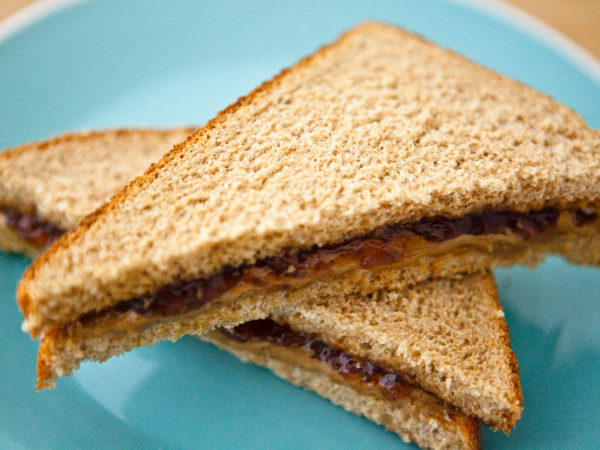 Creamy sunflower seed butter and organic strawberry preserves spread between two slices of whole grain bread. 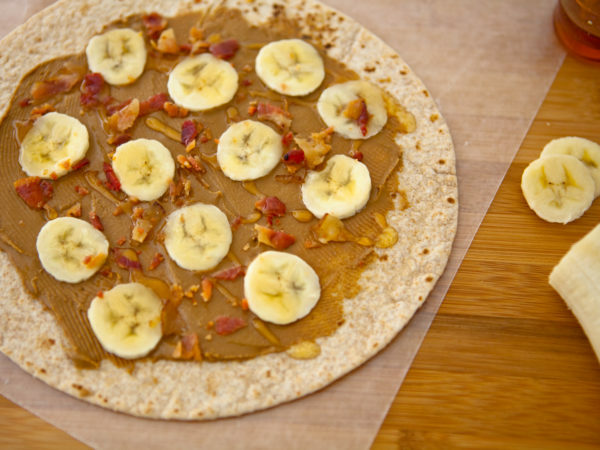 The PB&J without the P! Rich in vitamin E for a healthy immune system. 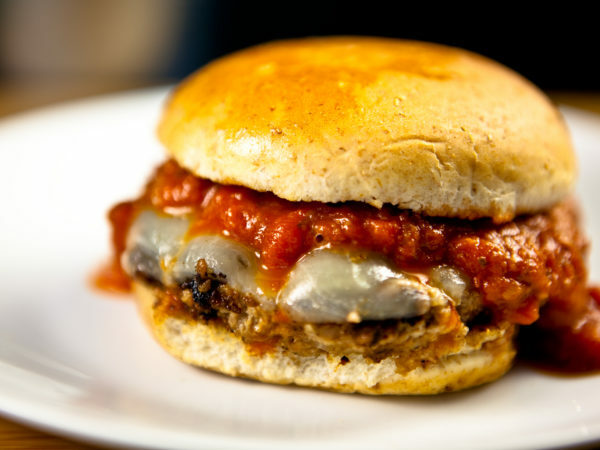 Hand-mixed all-natural ground turkey patties stuffed with mozzarella and basil, then topped with mozzarella and homemade marinara on a whole wheat bun. 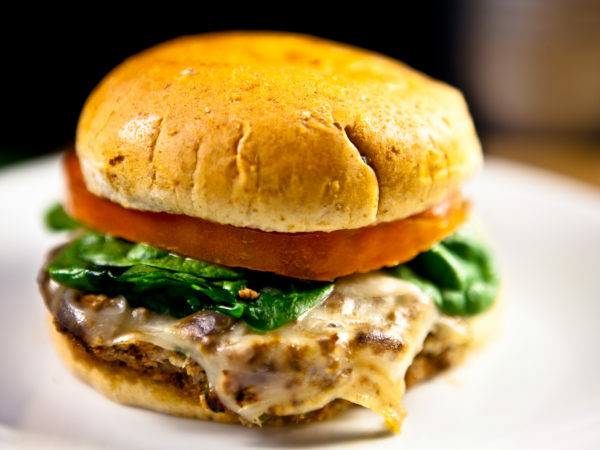 Hand-mixed all-natural ground turkey patties stuffed with mozzarella and basil, then topped with mozzarella, spinach, and tomato on a whole wheat bun. Contains at least 30 grams of protein and 60% recommended daily value of vitamin A per serving. 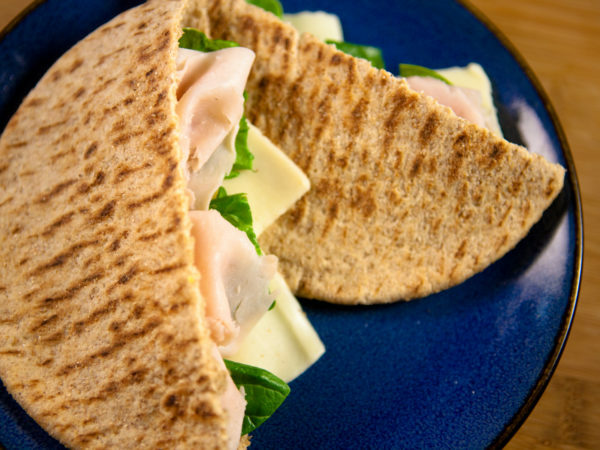 Slices of smoked turkey, fat-free swiss cheese, and organic spinach stuffed in a whole grain pita with fat-free honey mustard and mayo. Rich in protein and vitamin A and low in fat. 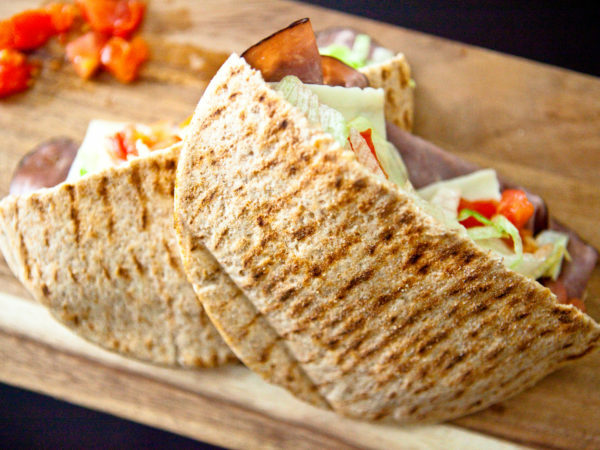 Slices of smoked ham, swiss cheese, tomato, and romaine lettuce stuffed in a whole grain pita with fat-free honey mustard and mayo. Rich in vitamin A and beta-carotene. 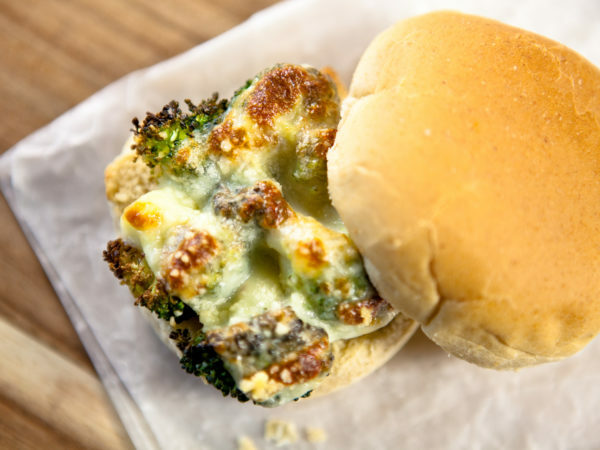 Tender broccoli florets roasted with olive oil, lemon juice and grated parmesan, piled on a whole wheat bun topped with nonfat mozzarella and parmesan, then broiled until the cheese is melted. 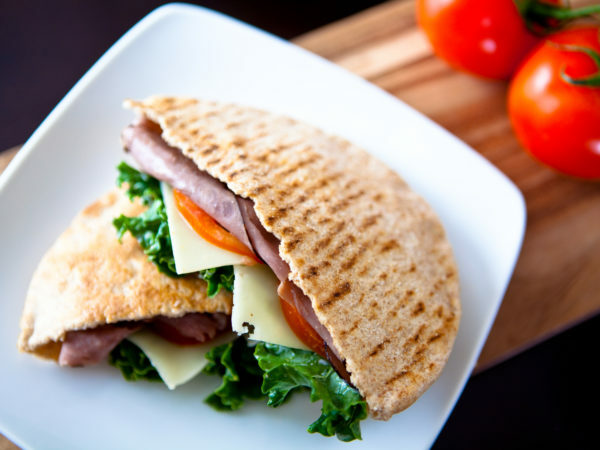 Contains at least 18 grams of protein, and is rich in vitamin C.
Slices of roast beef, provolone, tomato, and shredded lettuce stuffed in a whole grain pita with mustard and fat-free mayo. 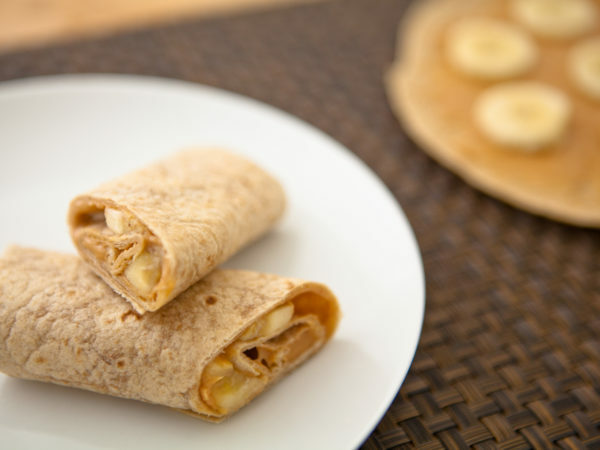 Low in fat and contains at least 25 grams of protein. 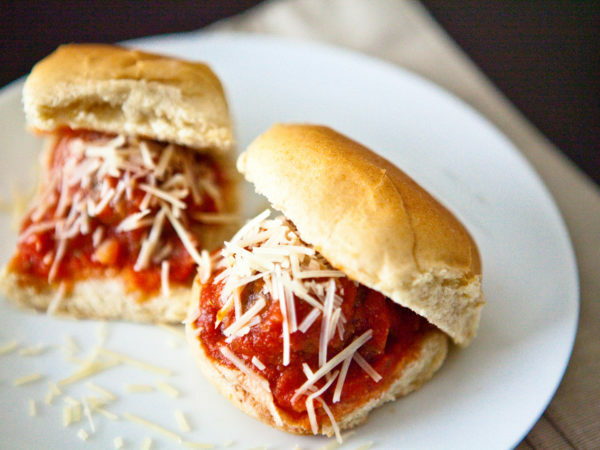 Fresh homemade beef meatballs smothered in homemade marinara sauce and stuffed in between lighly toasted mini dinner rolls and sprinkled with shredded parmesan cheese. 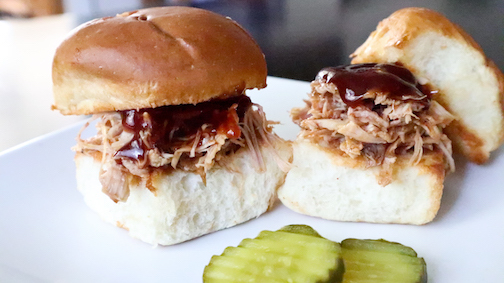 2 sliders per regular serving, 3 for large. Contains at least 12 grams of protein. 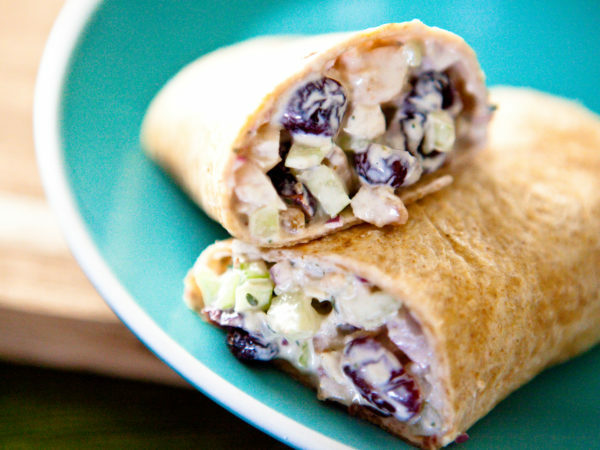 Roasted all-natural chicken, shredded and folded in a mixture of nonfat Greek yogurt, mayo, mustard, walnuts, cranberries, celery, red onion, tarragon, and sliced tomatoes then wrapped in a whole wheat tortilla. 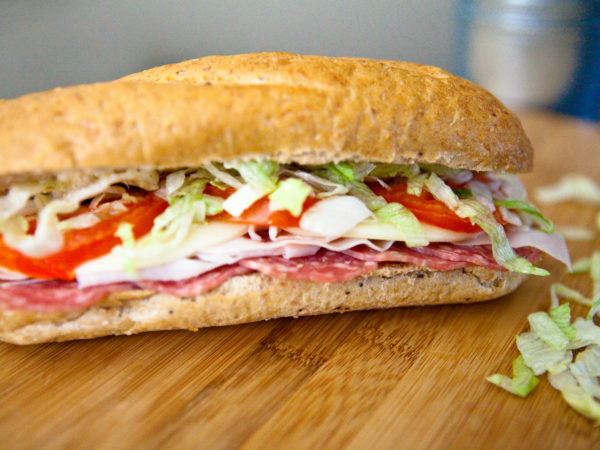 Layers of smoked turkey, turkey salami, provolone, tomatoes, and shredded lettuce stuffed between a whole grain sandwich roll with mustard and fat-free mayo. Low fat cheddar, monterey jack, and swiss, and tomato slices in between two hearty slices of sourdough. 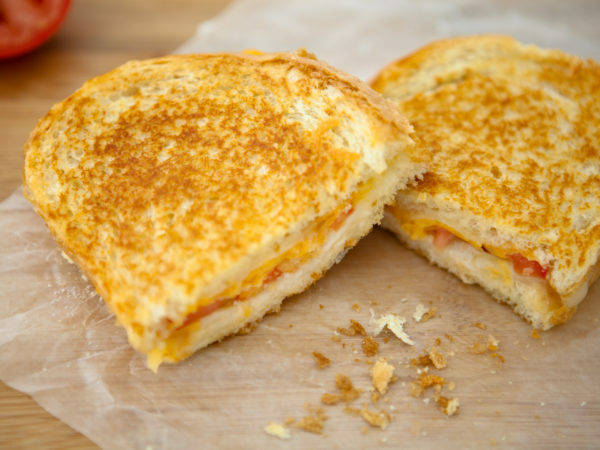 The classic grilled cheese! Rich in protein and calcium. 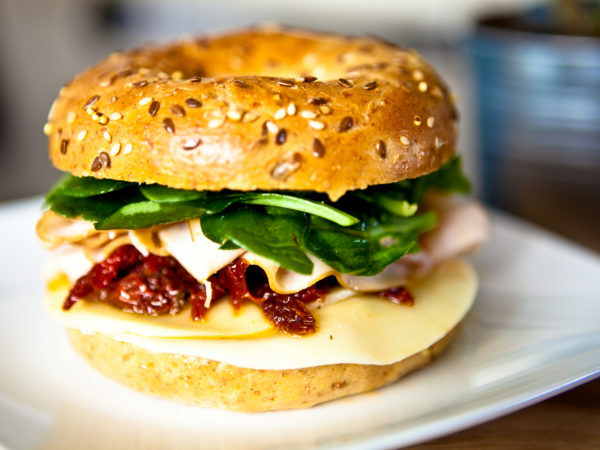 Smoked turkey, low fat provolone cheese, spinach, and sun-dried tomatoes in between lightly toasted whole grain bagels spread with a layer of veggie hummus. 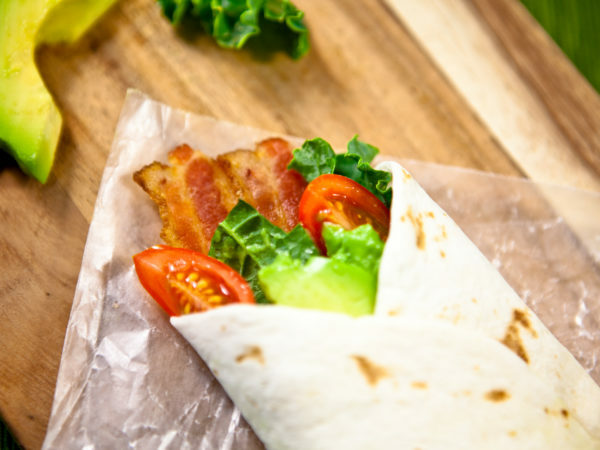 Bursting with flavor, this sandwich is The Lunch Mob’s favorite! Rich in protein and vitamin A and low in fat. 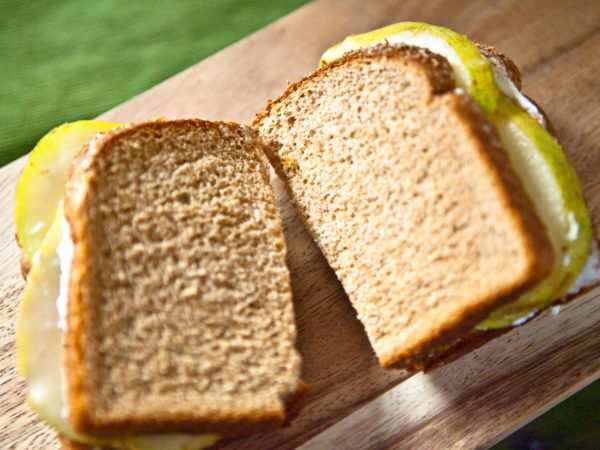 Freshly sliced pears, fat-free cream cheese, and light agave syrup in between two slices of whole wheat bread. Try it, you’ll like it! Brown rice mixed with low fat monterey jack cheese, black beans, organic carrots, avocado, and mild salsa stuffed in a whole wheat tortilla. Contains at least 50% recommended daily values of both fiber and vitamin A per serving. 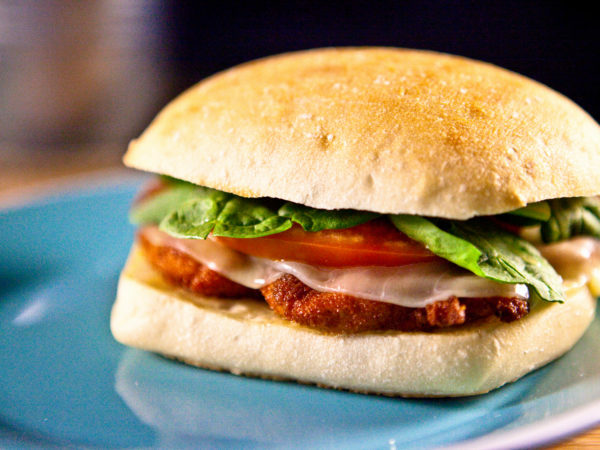 A scrumptious sandwich made of lightly breaded all-natural chicken breast, tomato, spinach, non-fat mozzarella cheese, fat-free mayonnaise, and ciabatta. Contains at least 40 grams of protein and 50% recommended daily value of vitamin A per serving. 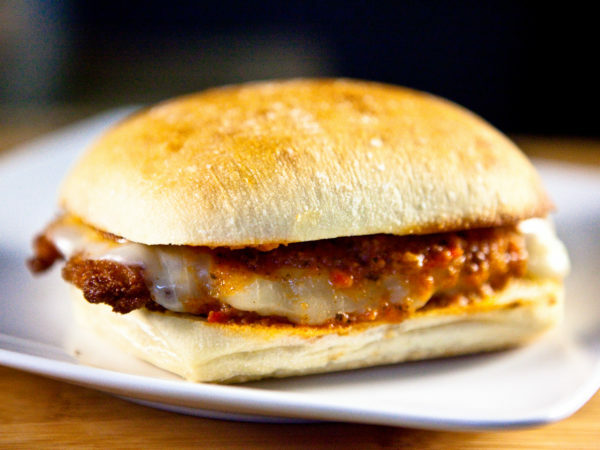 Lightly breaded all-natural chicken smothered in homemade marinara sauce and topped with non-fat mozzarella cheese to give it that Italian kick. Contains at least 40 grams of protein and 50% recommended daily values of B complex vitamins per serving.